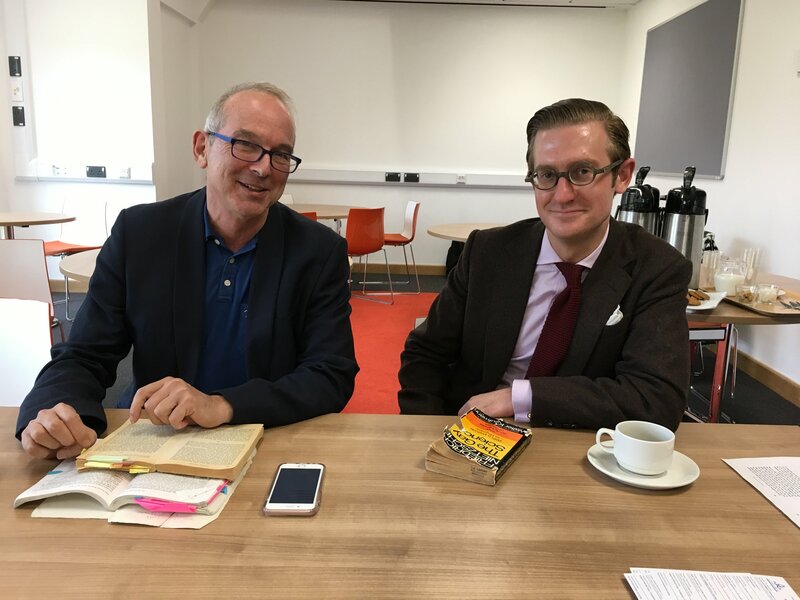 On the 12th September, the first Williams Project of this academic year was held in which Professor Ken Gemes and Dr Andrew Huddlestone of Birkbeck, University of London, came to talk about Nietzsche, a prominent German philosopher of the 19th century. 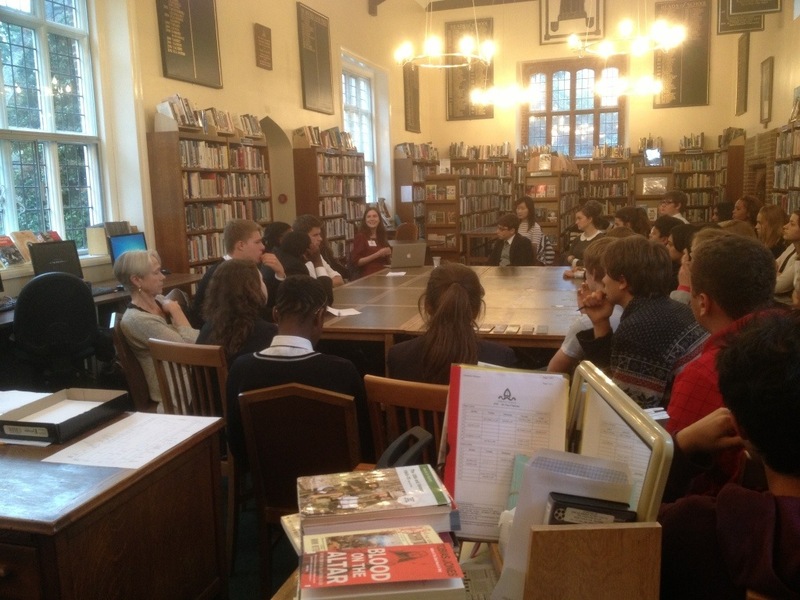 Being the Bernard Williams Philosophy Lecture, we welcomed Patricia Williams, his widow, yet it was also special as it was the first of many more interactive seminars in which the audience were constantly questioning and participating in a discussion which was constantly interpreting what the philosopher means. The talk began with a reading from ‘The Gay Science’ on the madman and whether ‘God is dead’ – with ‘God’ referring to the idea of god, religion and morality and whether we have some morals and human values left in this westernized modern world. This encouraged further questions of “How does the madman react to the death of God?” and “How did the marketplace folk, the non-believers, react to the madman’s whimsical nonsense?”. More importantly, the passage describes us as the murderers of God, which invites us to ask “What do we do now if there are no more Christian values? Do we create our own or is the madman merely a madman and we should ignore him? Do we need these old values in such a new society?” The discussion only developed further into ideas and many questions regarding nihilism and also the personal and political beliefs of Nietzsche – an atheist! Overall, this talk was incredibly engaging – allowing the audience to question what the ‘death of God’ means to them, and serves as a great introduction to a year of Williams Project sessions. Tim Chappell, Professor of Philosophy at the Open University, started the year’s Williams Project meetings in style with two different but related talks on the theme of Tragic Dilemmas. The first, aimed at younger students, was a more general discussion about what a dilemma is, and how we go about resolving them. Our thoughts centered around “Sophie’s Choice”, a novel and film based on real situations in Nazi concentration camps, where Sophie has to decide which of her two children is to be sent immediately to the gas chamber. Tim showed how absurd it is to used any kind of calculation (e.g. utilitarianism) in making this decision. He stressed the importance of empathy, of imaginative involvement in the decider’s dilemma, as an important way by which we can use these situations to think about moral choices. The second talk, a more formal lecture aimed at older students, was a detailed examination of moral philosophy based on a scene from Aeschylus’ Agamemnon, where the Chorus describe the Greek king’s dilemma between abandoning the expedition to Troy (and thereby losing all his status among his fellow kings) and sacrificing his daughter Iphigenia. (The goddess Artemis was preventing the wind from blowing the right way, and demanded this price.) His decision, to kill his daughter, successfully gets the ships to Troy, and leads directly to military success and glory; but it also leads to his own death, as on his return his wife Clytemnestra kills him in revenge for their daughter’s life. Tim drew attention to Agamemnon’s words just after he has made his choice: “May all be well” – a desperate plea, made by one knowing it won’t be. Agamemnon was in a completely messy situation – there was no way out, and no moral system could help him. Tim’s point was that there were two contrasting ways of looking at the moral world. One, put forward by Plato and moral-system people such as utilitarians, claimed that by using such and such a system one can always find the right thing to do, that all can “be well”; the other, shared by Aeschylus, Bernard Williams and himself, was that there are lots of situations in life where this won’t work, where we are just stuck and there’s no way out. In these circumstances what might help us a little is not a moral system, but an imaginative empathy developed from our own experience of life, and our experience of literature and drama. When we watch Agamemnon on stage we in some strange way feel what it’s like to be in his shoes, and gain some moral strength and wisdom from the experience. Nigel Warburton: Moral Luck – an Oxymoron? On Tuesday September 11th we were lucky to have with us Bernard Williams’ widow Patricia, as well as the well-known philosopher Nigel Warburton, who spoke to the WP on “Moral Luck: an Oxymoron?”. Nigel’s point was that we often surprise ourselves by blaming people for being unlucky: his main example was that of a speeding driver who runs someone over – the driver is surely unlucky if someone runs out in front of her, and yet we feel she deserves a harsher sentence than if she’d been lucky and no one had been hurt. We somehow feel that the harm done by one’s actions ought to feature in the calculation of a fair punishment, regardless of the amount of control the person had over their actions. 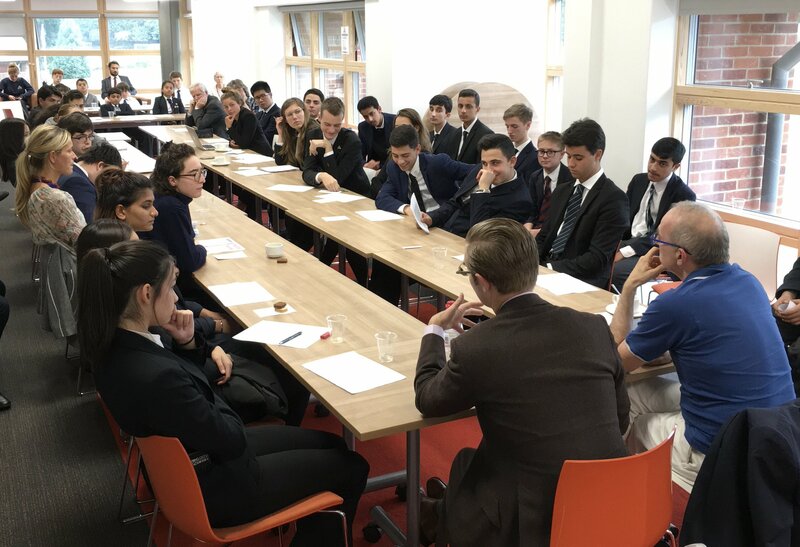 It was a really clear and interesting presentation, and Nigel was particularly impressed with the contributions from the younger pupils, which he said were better than those of many undergraduates. The conversation continued into the evening.